Organizations & Websites | Bernie Siegel M.D. A place to nurture your spiritual side, owned & operated by Bernie’s son & daughter-in-law, Wisdom of the Ages, carries all of Bernie’s books, CDs & DVDs. Bernie also holds a monthly support group there. We understand receiving a cancer diagnosis can be a stressful time and it is our hope that we can shed some light on the risks associated with opioids and alternative treatment options so that patients and their loved ones can make informed care decisions. AbuseTraumaRecovery.com helps individuals with in-depth, gentle, clear, and well-paced private assistance. 72 Classes, 144 Guided meditations and mindfulness practices, 144 Soulful Self-Reflections and Healing Exercises. The Mesothelioma Cancer Alliance website features a wide range of information related to asbestos exposure, mesothelioma cancer and treatment options. Consumer Safety Guide was created to keep the public informed about consumer dangers and safety issues associated with numerous products that can cause the public harm. Our website is constantly being updated with the most recent information on the most popular prescription medications and FDA-approved medical devices that could be endangering your health or putting your loved ones at risk. Our mission is to keep you informed and help you make the most educated decisions about your health care. Sleep is a vital component of health and recovery, and that’s a message the people at Sleep Help are always striving to spread. This website contains important information about the current research on how patients can deal with the sleep-disrupting side effects of chemotherapy, steroids, and other treatments. This website provides evidence-based sleep health information, news, and unbiased product reviews. The sit contains extensive in-depth work covering sleep disorders and tips for better sleep quality. Information and support if you or a loved one was diagnosed with malignant mesothelioma. We’re standing by to get you the fast help you need. ThriveTalk provides online therapy by connecting people in need of mental health support with highly skilled and vetted therapists who provide impactful therapy through secure online system. ThriveTalk is very focused on whole-person wellness. On their website, you will find their comprehensive Complete Guide To Yoga Therapy. An international social support network for everyone who has/had cancer or is supporting someone through the disease. The service focuses on creating real, organic connections between people in similar situations. Its community search filters are intuitive and very easy to use. You can search for others by type of cancer, type of user (supporter, survivor and fighter), age, year of diagnosis, gender and location and a number of other interesting features that help facilitate communication between users. The hope is that by allowing members to easily connect, share experiences and information, the acquired knowledge will turn them into medical self-advocates. Becca’s Rainbow, was a story featured in my book, A Book of Miracles. Becca has now been gone for 10 years. She was an amazing, spirited, life-loving little girl with an old soul. She inspired many while she was here, and her inspiration lives on. Her final wish was to create a foundation to help other children with cancer. Becca’s LEGacy has been established to fulfill her dream. They hold toy drives each year and have given over 25,000 new toys to Chicago area hospitals. This year, for the first time, they have added an Amazon Wish List to their toy drive, so people can give from anywhere. The link to the Wish List, as well as more about Becca and our organization, is on their website: www.beccaslegacy.org. Additionally, they have a Becca’s LEGacy Facebook page. Drug Dangers was developed to educate the public and lend a hand to people who have been affected by defective drugs and medical devices. The goal at Drug Dangers is to keep the public educated and informed of all defective medical devices and dangerous medications that are currently available on the market today. Pharmaceutical companies are trusted to put safe products on the shelves, yet thousands of people lose their lives each year due to prescription medications with adverse side effects. By spreading awareness, we can lower this statistic by decreasing the number of recalls, saving more lives of those who have been affected. Bernie Siegel is on the Faculty at the The International Association of Wellness Professionals, the global leader in Wellness Coach Training & Certification. If you’re passionate about health and wellness, making a difference in people’s lives and want to create a career you love, learn more with the IAWP’s free gift to you, The Wellness Coach Career Kit. Our “Be an Angel, Comfort and Angel” global initiative is our way of giving back..of touching those who long to feel connected…of sharing the Power of Angels! here on earth. For every Embrace the Angel silk scarf, necktie, or pillow cover purchased, Tobias & Co. LLC will donate one to a bereaved mother, father, or critically ill child in need. Working with our divine Angel Partners—hospices, hospitals, churches, and organizations, who mission supports the critically ill and the bereaved—we distribute these silk pieces of wearable, lovable Angel Art with the hope that they will bring a bit of joy, comfort, and a sense of caring to adults and children around the world. David Dachinger and Tamara Green, LCSW are the co-founders of Loving Meditations. David is a survivor of stage IV cancer, fire lieutenant, author and Grammy-nominated composer. Tamara is an author, speaker, and trainer, whom Elle.com referred to as “the soul-centered psychotherapist and meditation facilitator.” She is often featured as a behavioral health expert on Today.com. Together, this married couple offer mindfulness based stress reduction programs to empower cancer patients, survivors and caregivers with self-love and self-care throughout their healing journey, from diagnosis to survivorship. Loving Meditations App: CalmCancerStress.com – The Loving Meditations App provides an easy way for cancer patients, survivors and caregivers to watch calming meditations at home or in health care facilities. It offers highly effective tools for cancer-related stress management for scanxiety, pain, overwhelm and more. Loving Meditations TV (for waiting rooms and lobbies in health care facilities) https://lovingmedi tations.com/loving-meditations -waiting-room-tv/ – Is the noise and chatter of news and daytime TV in your doctor’s waiting room stressing you out? 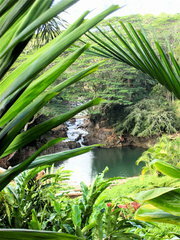 Loving Meditations TV features beautiful images, expansive music and positive mindful messages. This will help you to feel grounded, centered and more tranquil during your wait time for health-care services. The Graduate Institute specializes in transformative education. I am a member of its faculty and have seen the changes in our students when they achieve new levels of self-empowerment and discovery, as well as prepare themselves for higher levels of professional work. Dreamvisions 7 Radio Network’s station model includes broadcasts of talk shows 24 Hours Monday- Saturday with Divine Music Sundays. Dreamvisions 7 Radio Network enjoys syndication with station affiliates/mediums TuneIn, Roku, Xbox One, Radio Row, Stitcher, Radio-Europe, Streema, Womens Radio, CXRadio, Spreaker, Spotify, iTunes and our Google Play and Apple Apps. Dreamvisions 7 Radio Network is also heard on Amazon’s Echo…just ask Alexa to play Dreamvisions 7 Radio Network. Founder Paulette Thompson-Clinton is a three-time cancer overcomer who has been living abundantly with metastatic breast cancer for over seven years. She embodies the spirituality of living well and will inspire you to reach higher heights as you journey towards holistic health and wellness. Paulette is working on her first book and is available as a Speaker or Workshop Leader for your next event. See you on the road! The documentary LIVE LIFE paints a new picture with deep insights into the essence of the healing process introducing alternatives to mainstream medical approaches. The result is a movie that inspires, astonishes and reveals how you can heal yourself differently. These discoveries will offer you a chance to show you how to guide an extraordinary force to heal your body and your mind; and improve the quality of your life, no matter at what level you presently function. Now you can awaken your inner power! Mesothelioma + Asbestos Awareness Center – Supplying educational information to those affect by mesothelioma cancer and those exposed to asbestos. Here you can learn about the signs/symptoms, diagnosis, treatment options, and specialists/clinics closest to you. Yosaif August, co-authored Help Me To Heal (Hay House)with Bernie. He has created a resource website for family caregivers, called, Caregiver Central (www.yestolifecoaching.com/caregivers). The website provides a continually updated list of free resources (including videos) and organizations that support and advocate for family caregivers, as well as a blog and other special features. The mission: of The Emerald Heart is to provide financial support and other resources for women in effective complementary and alternative cancer treatments. Its vision is that all women with cancer choosing complementary and alternative medicine/holistic/integrative interventions have access to treatments enabling them to pursue healing with dignity, hope and grace. Amelia Kinkade is world renowned expert in animal communication. Amelia’s true passion is assisting animal rescue organizations in Africa who create safe havens for White Lions, elephants, cheetah, Great White Sharks, and penguins. She also trouble-shoots problems in sanctuaries that rescue tigers, primates, Asian elephants and countless breeds of exotic animals in Thailand and around the world. She enjoys helping charities worldwide with their fund-raising. In 2002, she was honored to accept invitations to Buckingham Palace to work with the household cavalry of Queen Elizabeth II and to “whisper” with the hunting horses of Prince Charles. The goal of The Care Company is to get you out of caregiver overwhelm and show you ways to get your life back in balance by giving you tools and strategies that you can immediately use to improve your life while caring for your loved one. 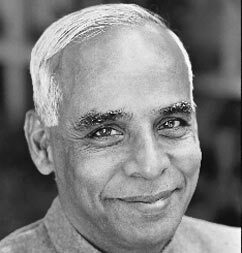 In thousands of talks and his many books Eknath Easwaran (1910-1999) taught passage meditation and his eight-point program to an audience that now extends around the world. Rather than travel and attract large crowds, he chose to remain in one place and teach in small groups. His work is being carried forward by his wife, Christine Easwaran, who worked by his side for forty years, by his students, and by the organization he founded, the Blue Mountain Center of Meditation. Sign in for a thought for the day. This is a new project to put a face on cancer – a disease that has impacted all of our lives. A linguist told Jamie Courville that ‘Squirrels’ is the hardest word in the English language to say. She is producing a collection of stories about things that are difficult to talk about called Squirrels Stories. The first group will be audio portraits in the first person and some multimedia pieces of people talking about living with cancer. She wants to create an online community where everyone can hear the strengths and hardships of individuals facing this disease. A person’s voice cuts right through in a way that nothing else can. It reaches people in a universal way. Her hope is that those who are sick will find comfort in hearing the voice of someone in the same boat, and those who are not will be able to better understand what our friends and family members are confronting. If you know someone who is sick please tell them about Squirrels Stories. In the coming weeks, she will be doing a crowd funding campaign. Everything God says applies to all of us, and each day’s Heavenletter contains a new message from God. For people of all faiths, or of none, Heavenletters are like a walk we take with God. With each step, we come closer until we find there is no distance between God and us. Little by little, just from reading Heavenletters – without lessons or exercises, without trying – we grow. Sign in for your daily Heavenletter. Healing Baskets is a site where you can shop online for unique gifts and baskets that will ship the same day to your loved ones. The staff at Healing Baskets design unique sympathy gift baskets, get well gift baskets, cancer and breast cancer gift baskets, caregiver gift baskets, as well as gifts and baskets for divorce, recovery, depression, pet loss and other challenging situations making the perfect alternative to food baskets and flowers. They also sell a 16 different ‘never-ending’ mobius bracelets engraved with beautiful verses. How to Die – A thought provoking article by rabbi and best selling author, Benjamin Blech on the website Aish.com. You will find any inspiring articles and stories on this website. Offered under the Academic Direction of Drs. 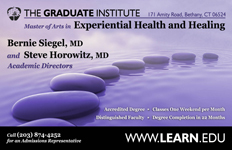 Bernie Siegel and Steven Horowitz, Integrative Health and Healing is a 36-credit Master of Arts degree program that explores complementary and alternative healing on a continuum with allopathic medicine. The program fosters the development of effective healer-patient relationships and explores contemporary, mind-body approaches to health and wellness. Program participants study diverse allopathic, complementary, and alternative healing practices under the guidance of distinguished practitioners and leaders in the field of integrative medicine. Discover a Way to Take Control of Your Fertility. 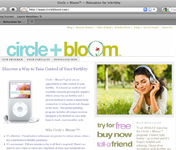 Circle + Bloom™ gives you an opportunity to take control of your fertility. It is based on medical and scientific research proving the negative effects stress has on fertility and a proven method to create a mind/body connection to bring about real changes in the body. The patent-pending program includes 28 unique sessions designed to be listened to on a daily basis to track your monthly cycle. If you have Breast Cancer, you are a Breast Cancer Warrior. If you love someone who has Breast Cancer, you too are a Breast Cancer Warrior, and it was for all Breast Cancer Warriors that BreastCancerWarrior.net was created. We are here to provide information, inspiration, resources, laughter, strength, and community to Breast Cancer Warriors everywhere. We are young, we are old, we are women, and men. We are Breast Cancer Warriors and we are all in this together. Life Extension has combined mainstream therapies with diet, nutrients, hormones and unique medications to provide you with the best chance of preventing or gaining control over serious medical disorders. Nutritional Supplements for a longer, healthier life. The company has been pushing the envelope and building acceptance for the enhancement of life since 1985, when the concept of life extension supplementation first gelled. Our research focuses on the complex relationships that exist among nutrients and the latest advancements in nutrition therapies to develop and produce some of the most significant products available to Holistic Practitioners. A new site aimed at helping the healing process through laughter. It’s a free site that will deliver a daily funny video daily. Go to www.alaughaday.com. A site for the new book, Power Up Your Brain: The Neuroscience of Enlightenment by David Perlmutter and Alberto Villoldo, who have come together to explore the commonalities between their specialties with the aim of making enlightenment possible for anyone. Emmett Miller MD -Your Guide to Self Healing through Mind/Body Medicine. A trusted source of knowledge, wisdom, and quality self-healing tools and products, developed by Dr. Miller through more than 30 years of innovation and practice in the art and science of Mind/Body healing. Please take some time to listen to what a cross-section of the healing community have said when asked how people can aid their own healing process. Since 1977, offering professionally accredited, evidence-based programs in whole health patient education and coaching which facilitate lifestyle changes, improve health and well-being and demystify the cause and effects of health and disease. The Immune Competent Personality Test is based on Dr. George Solomon’s research and provides interesting insights.